The Lingaraj temple is said to have been built first by the ruler Yayati Kesari in the 7th century who shifted his capital from Jaipur to Bhubaneshwar. Lingaraj Temple is a Hindu temple dedicated to Harihara, another name for Shiva and is one of the oldest temples of Bhubaneswar. 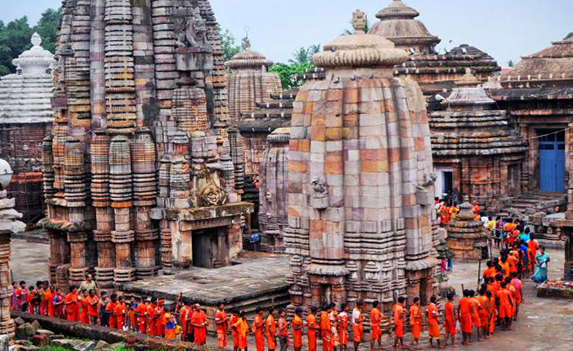 The temple of Lingaraj, the biggest of all at Bhubaneswar, is located within a spacious compound wall of laterite measuring 520 feet by 465 feet. The wall is 7 feet 6 inches thick and surmounted by a plain slant coping. Alongside the inner face of the boundary wall there runs a terrace probably meant to protect the compound wall against outside aggression. 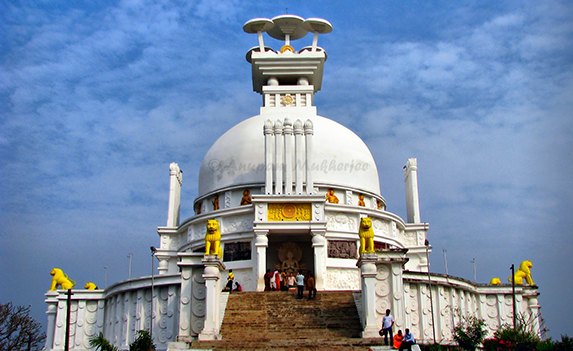 This magnificent temple, dedicated to Shivn in this temple where the deity is worshipped as Harihara, a combined form of Vishnu and Shiva.The presiding deity, is the Swayambhu Lingam. The granite block image of the Linga is said to be bathed daily with water, milk and bhang (marijuana). Almost all the Hindu gods and goddesses are represented here, reflecting the innate element of harmony within the religion.